We love traveling by bus or train to show our guests some of the top destinations in Alaska, but our packages for the DIYers are not to be forgotten. We mapped out a seven-day tour for anyone who enjoys both structure and freedom – the Alaska Highlights Self-Drive tour. We’ll coordinate with the car rental agency and take care of booking your hotel rooms. You won’t have to worry about a single thing except doing your Alaska vacation your way! When you land in Anchorage, we’ll pick you up from the airport and transfer you to your hotel. The next day, we’ll take you to pick up your rental car and explore Anchorage. The day is yours, so go wherever you’d like. Once you’ve had your fun, it’ll be time to explore a whole new side of Alaska. Plan on leaving your hotel early to head toward Denali. It’s the tallest mountain in North America and you’ll have plenty of time to explore the national park and get to know the scenery and wildlife during your two nights in the area. 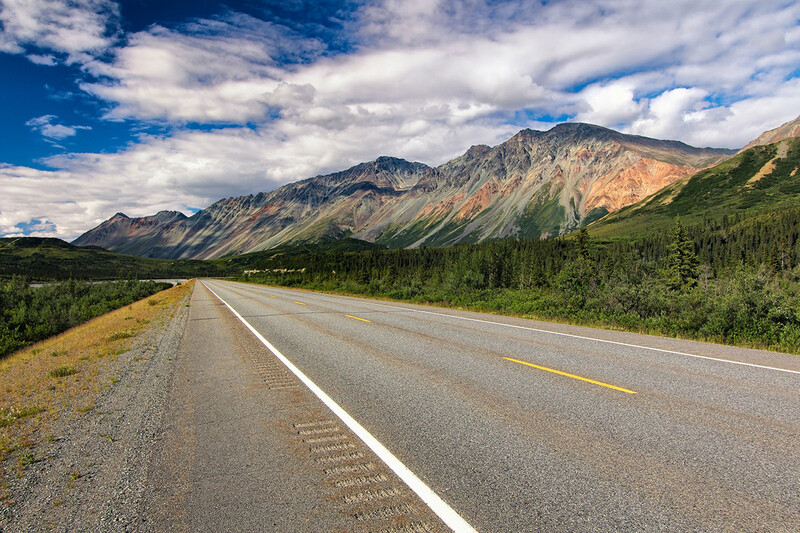 The drive to Denali will include some of the most incredible views and wildlife sightings you could ever imagine, and you won’t soon forget it. Don’t be too sad when you leave Denali and begin the last leg of your journey, because there are a few more action-filled days ahead as you travel to Fairbanks. The drive is only a couple of hours, so get out, explore and take it all in! During your day in Fairbanks, enjoy lunch at the Riverboat Landing (we’ve taken care of it), then take a trip on the Riverboat Discovery, an authentic sternwheeler boat. You’ll have the rest of the day to yourself to see all that the Golden Heart City has to offer. Are you ready to book your self-driving tour? It’s not too late to book a trip for this summer – departure dates in September are still available!